Elmo, aka Gable Elmo, is an almost 4-year-old red brindle male, born June 2, 1998. 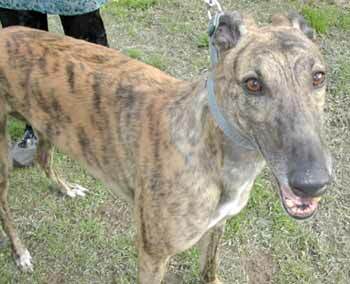 Elmo's sire is Gable Dodge, a top winning racer, whose sire was Wigwam Wag. 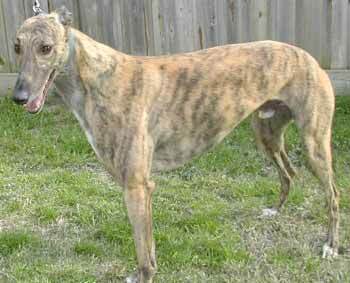 Elmo raced here in Texas, but, again, was one of the slower greyhounds.........so it's time to find his "forever" couch!